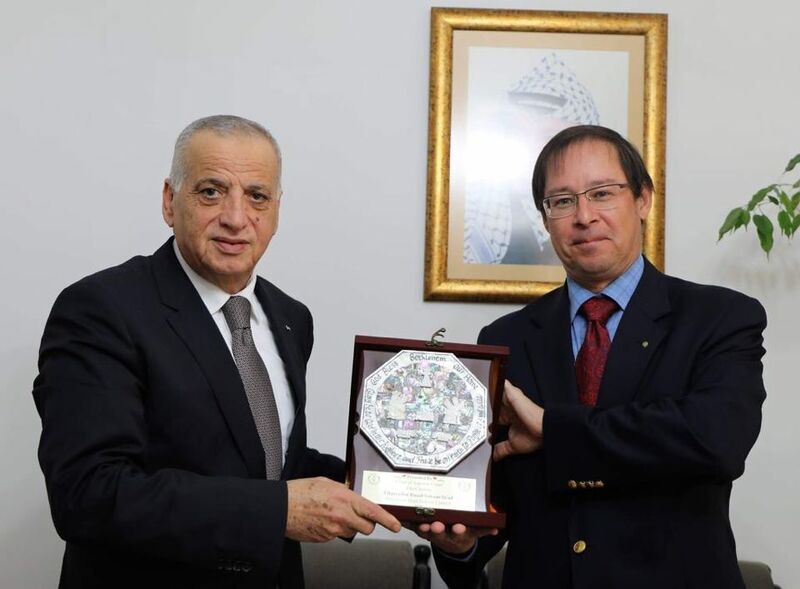 Chief Justice Chancellor Emad Saleem Sa’ad met with Russian Ambassador in Palestine Dr. Haider Aganin at headquarter of Russian Embassy in Ramallah. Dr. Aganin welcomed H. E. and expressed appreciation for chief justice visit and emphasized that Russia supports people of Palestine in achieving their legitimate rights that guaranteed by international laws and norms. Chancellor Sa’ad assured the strong and friendly relationship hoping to cooperate and exchange experience in the field of judiciary between both countries and through establishing fruitful and joint agreements to facilitate exchanging experience.